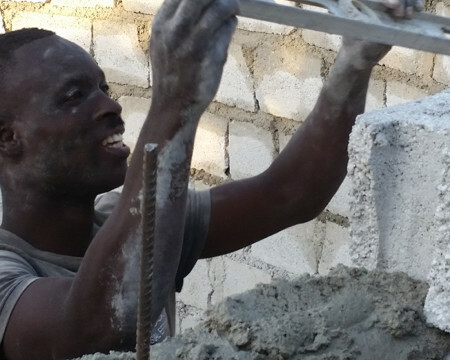 The construction crew. 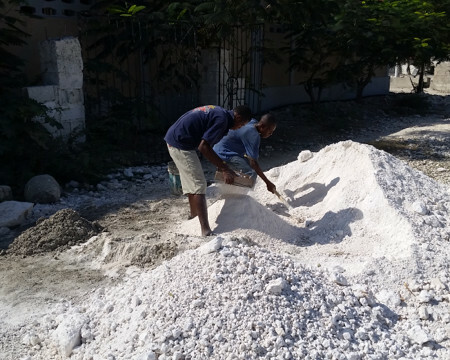 FEED HAITI is providing jobs before the 1st fish is added. 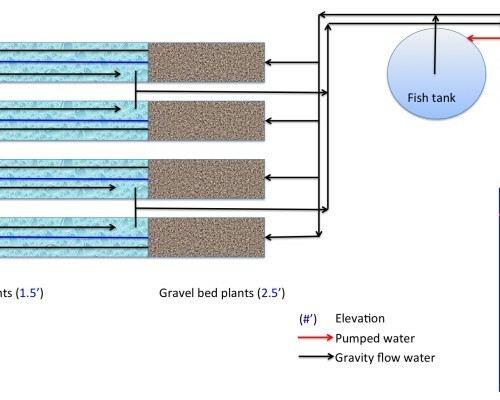 integrated media bed/floating raft tank for growing vegetables. 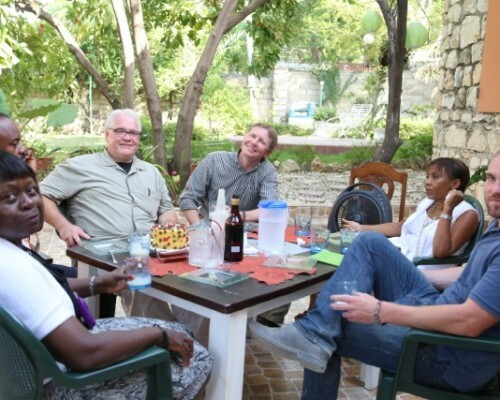 Planning FEED HAITI with leadership of H.E.L.P., Inc, Metropolitan State University of Denver, and a CU Denver graduate/medical student. 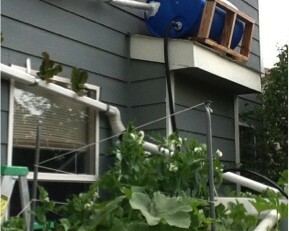 Lettuce growing on the side of a house? 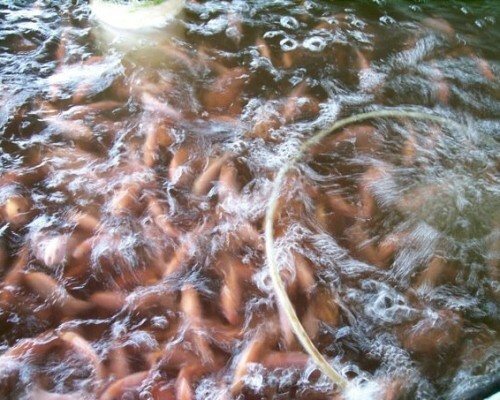 Yes, it is possible with aquaponics. Very efficient use of space. 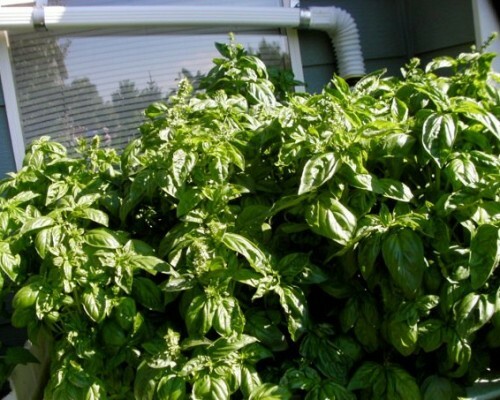 Basil grown aquaponically in Greg's back yard. 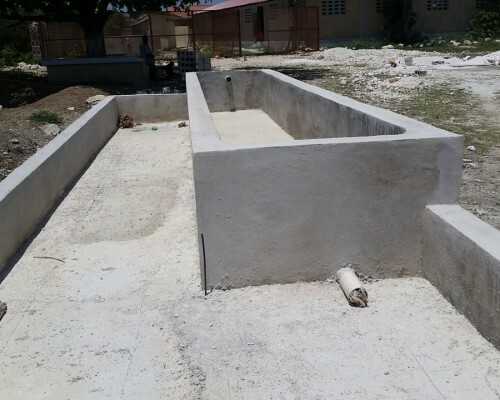 The aquaponic classroom at HELP, Inc. FEED HAITI will train generations of aquaponic farmers. Kob Nwa digs trenches for the plant bed foundation. Yon Sel Lanmou, Fashy Fash. 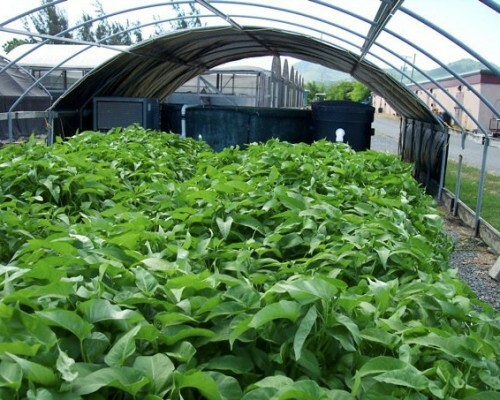 Water spinach is in Haiti, and grows exceptionally well aquaponically. Smoothing edges with a machete. 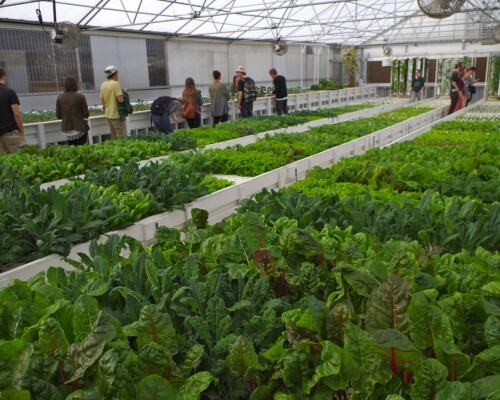 The commercial-scale aquaponic system of collaborators, Colorado Aquaponics. Boss Gary making sure everything is level. Kids on a donkey check it out. 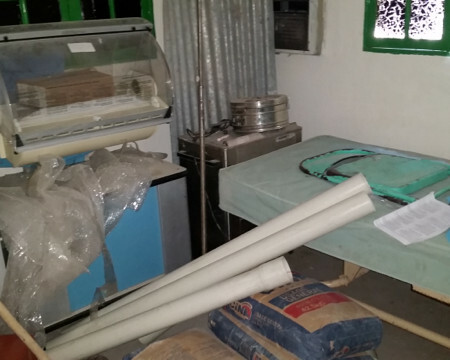 Storing construction material in a safe place. 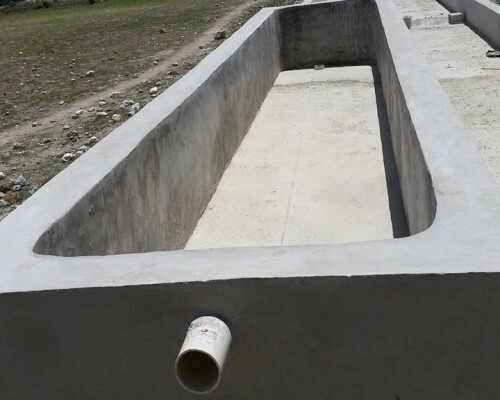 The concrete and pipe will protect health just as much as the incubator. 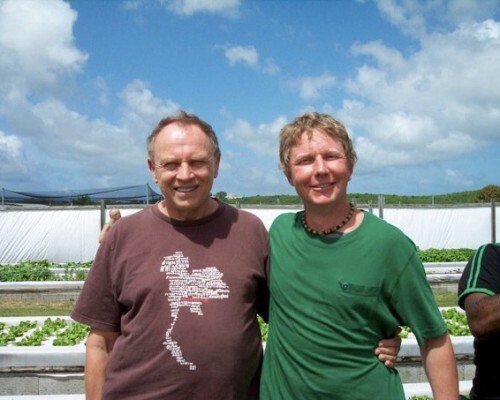 Greg learned aquaponics from the best, Jim Rakocy, the Father of Modern Aquaponics. 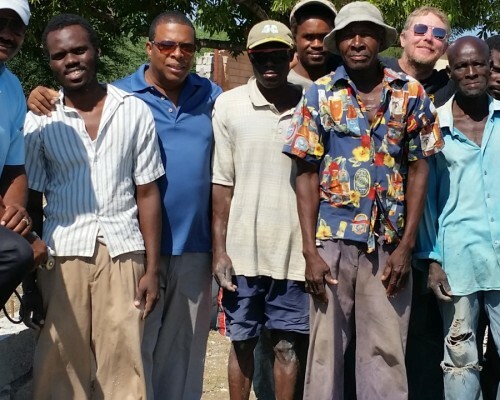 YSL Director Najee and his wife Sharaf visit FEED HAITI. Here is a brief video about our collaboration, produced by YSL. 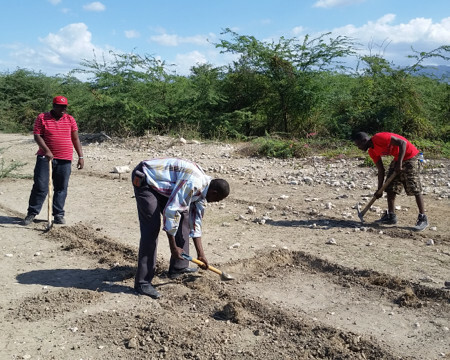 Yon Sel Lanmou is teaming up with H.E.L.P., Inc. to FEED HAITI, Flowing Edible Ecosystem Development, Haiti Aquaponic International Transdisciplinary Initiative. 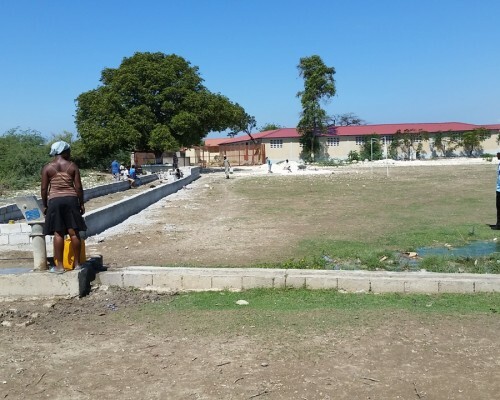 We are installing an aquaponic facility at the H.E.L.P., Inc. campus in Croix des Bouquet, Haiti. 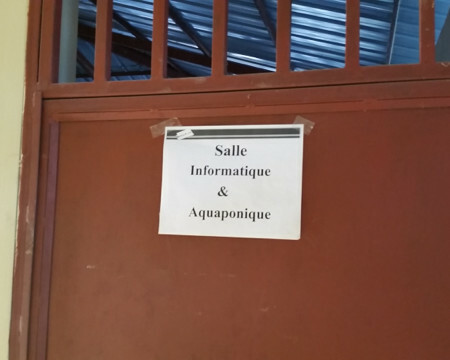 The aquaponic center in Croix des Bouquets is modeled after the center 350 miles away on St. Croix developed by Prof. Jim Rakocy at the University of Virgin Island over the past 30+ years. 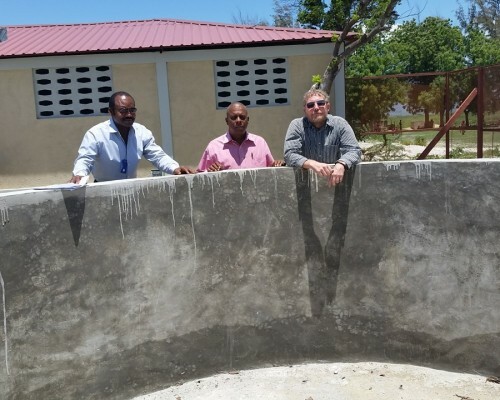 YSL President Greg Cronin met Jim Rakocy at UVI in 2010 when he participated in the aquaponic workshop described in this article. 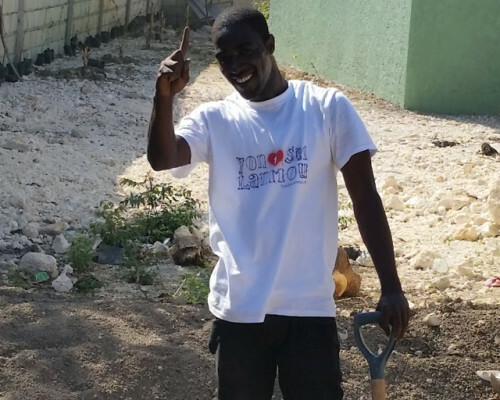 Greg stopped by Haiti on his return trip from the Virgin Islands, which began his efforts that eventually became Yon Sel Lanmou. 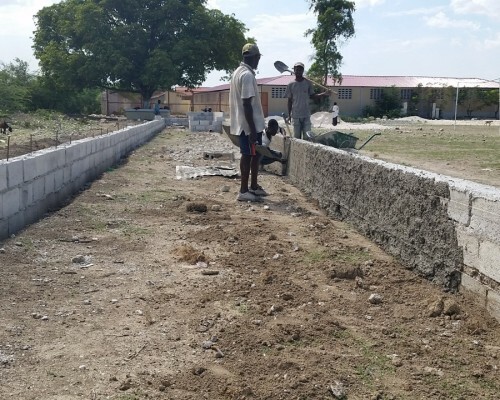 FEED HAITI will grow tons (literally) of healthy fish and vegetables every year, feeding the 300 students and 100 pregnant women that H.E.L.P., Inc serves. 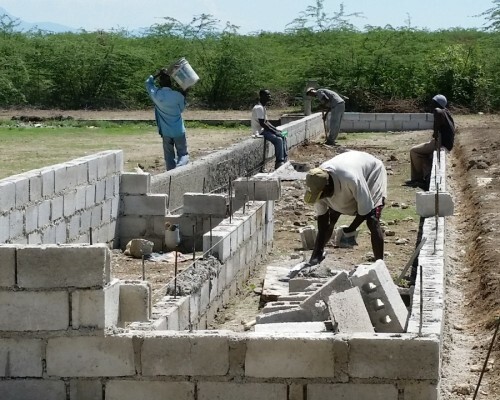 It will be a vocational training center for entrepreneurial college graduates who want to start aquaponic businesses in Haiti. 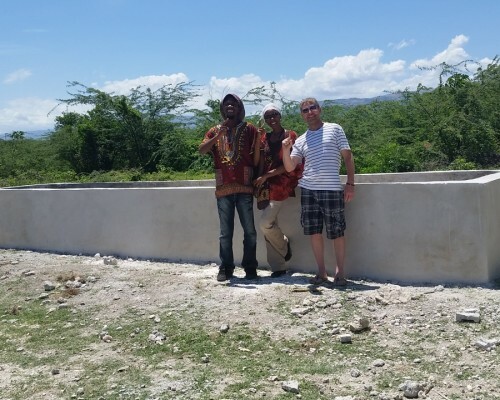 It will be used to offer workshops similar to UVI’s, attracting foreign visitors to Haiti who want to learn about aquaponics while visiting the historically and culturally-rich country of Haiti. 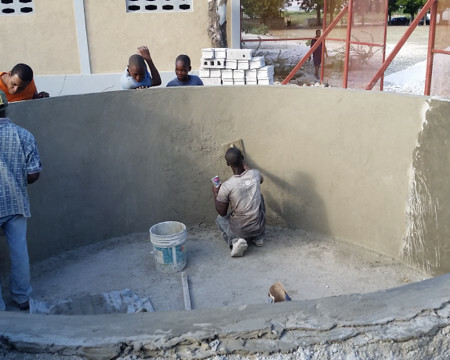 These activities will create much needed employment for the people of Croix des Bouquet. 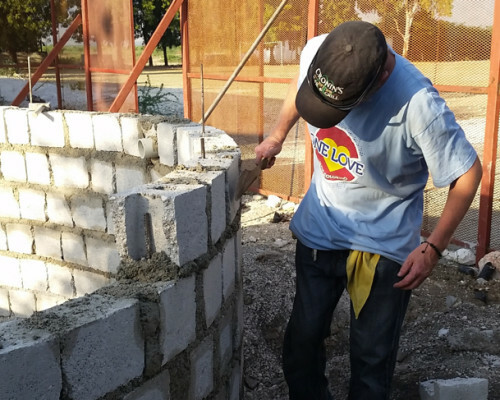 FEED HAITI is happening, and we are confident of its success because it is based on the proven UVI system that has the same climate as Haiti. Dr. Michel-Henry Brutus, founder and CEO of H.E.L.P., Inc. translated the FEED HAITI proposal to French for submitting to the Haitian government. Dr. Cronin received an adjunct appointment on the faculty of the Centre de Formation et de Développement Économique (CFDE), where he will co-teach a class with Dr. Brutus on project development. 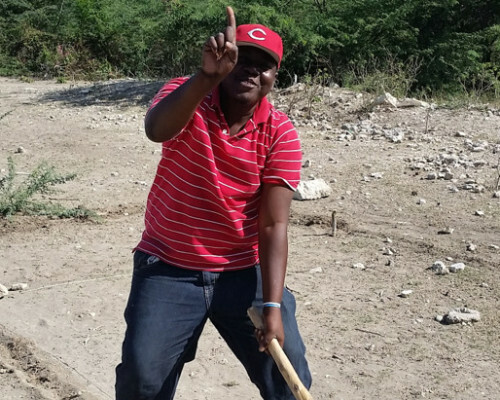 We have the land and the energy in place. 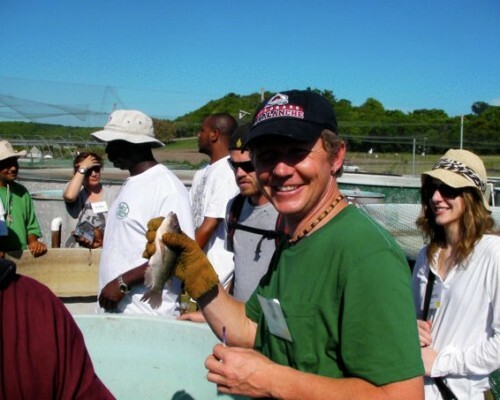 Last year Greg and a team of experts built the 1st aquaponic system in a US jail. 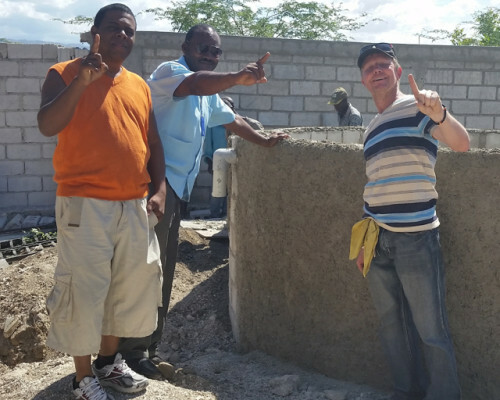 These experts, Dr. Brutus, and the team we assembled in Haiti will build the first commercial-scale, vocational training aquaponic center in Haiti. 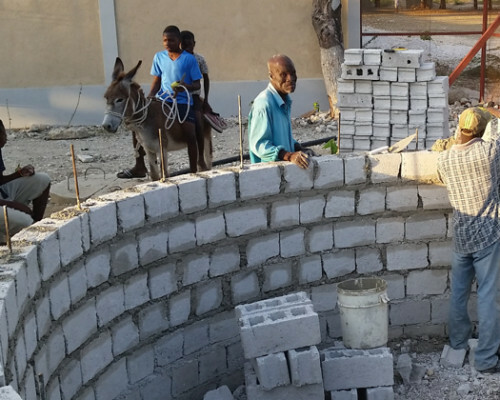 If you want to help make this plan a reality, click the donate button below with the message “FEED HAITI”.